You are here: Home / BUSINESS / How to Rebrand Your Company with a New Logo? How to Rebrand Your Company with a New Logo? Marketing your business can often be a long and challenging experience. The internet has made it easier than ever before for companies to connect with consumers and improve customer experiences. Still, there are more companies than ever before nowadays. This means you need to go about your marketing tactics in an informed way to make a difference. Selling your brand without actually selling your brand is a difficult journey. Luckily, there are a few easy areas you can focus on to see some positive results from your marketing attempts. Brand recognition is incredibly important these days. In order for you to get consumers to pay attention to who you are and what you are selling, people need to trust you. When consumers recognize your brand right on the shelf at the store, they are more likely to trust in what you are offering. A great way to get started is by looking over your options with a logo. The right logo can sell your brand and help make your business more profitable. Every company has a name. While you might remember the names of many brands you have seen in your life, you probably also think about specific images when you hear the names of each brand. Thinking about a big store like Target, for example, will most likely conjure up images of a red target. Similarly, Best Buy might make you imagine a large, yellow price tag on a blue background. These immediate associations are important with brand recognition, helping customers to know your company simply by seeing the right colors and shapes. When you are thinking about a logo for your own company, you might want to think about the most straightforward approach possible. You don’t need anything too clever to get started. Target’s logo is just a target, after all. Try to think about how you can use a basic symbol to your advantage and build on your idea from there. Use an online logo generator to get a feel for what you can accomplish. Connect with artists you know to try and explore additional design options you might not have considered for your logo. Creative endeavors can often be a lot of fun. Be careful of this when designing your logo. You might have a blast designing a great logo of a shark swimming in the ocean at sunset, but it will not help you sell your birdseed. Make sure your symbol is relevant to the type of company you are. You definitely want it to look appealing, of course. Just try to avoid straying too far from the point. Keep your image relevant to the business you do and it will help to sell your brand. In order for your company to be recognized amidst all the other brands out there, you need to know how to draw attention. 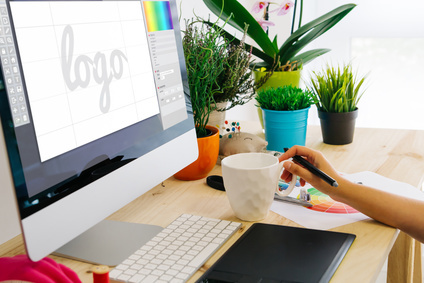 Take time to design a logo and see how this simple symbol can go above and beyond when it comes to making your brand more familiar to the people you want to reach. A clever logo can do wonders to build brand recognition and take your company to new heights.